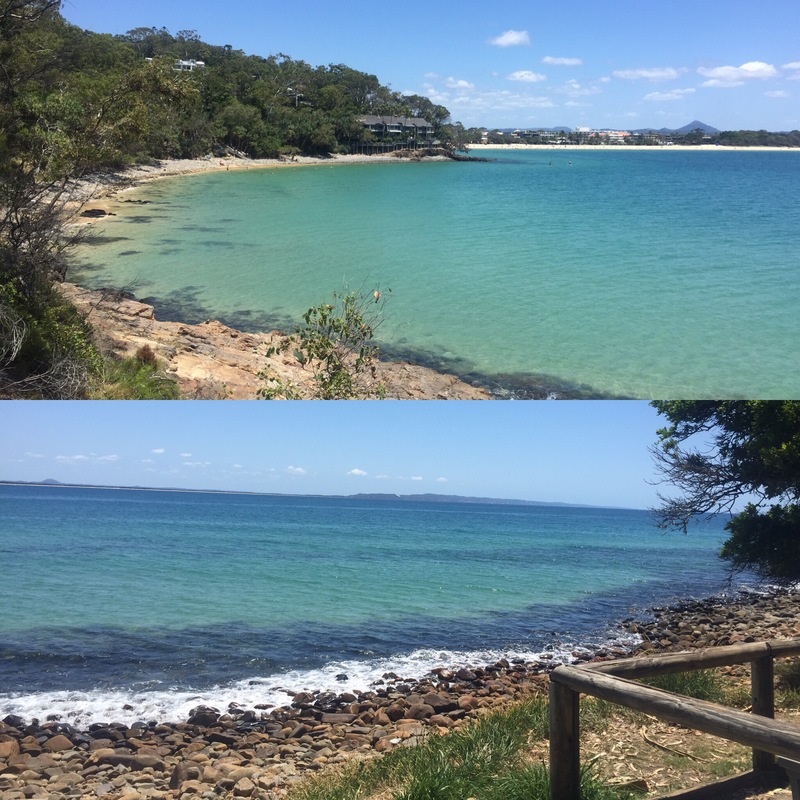 Noosa is a really nice coastal town in the middle of the east coast and was our stop for our Fraser Island trip on the 18th February 2017. We arrived there in the evening after our day at the zoo and were pretty tired. 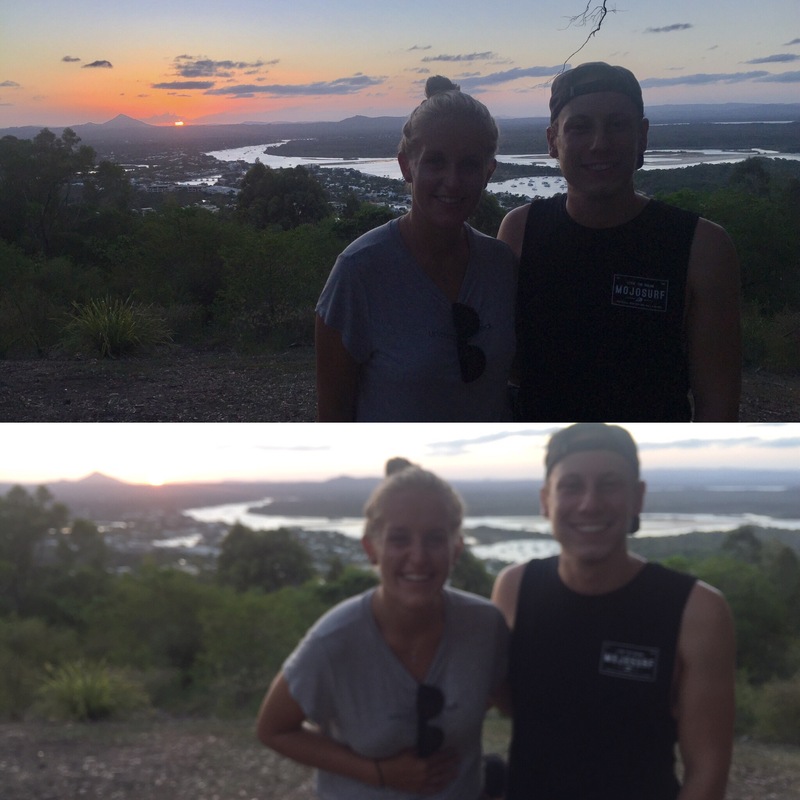 One of Niall’s best mates from home, Andy, is also travelling at the moment wth his girlfriend, Alex, and we happened to be in Noosa at the same time so we spent our first evening in Noosa catching up with them.Our first full day in Noosa (16th February) we had booked onto a tour of the Everglades around Noosa, one of the only Everglades in the world! 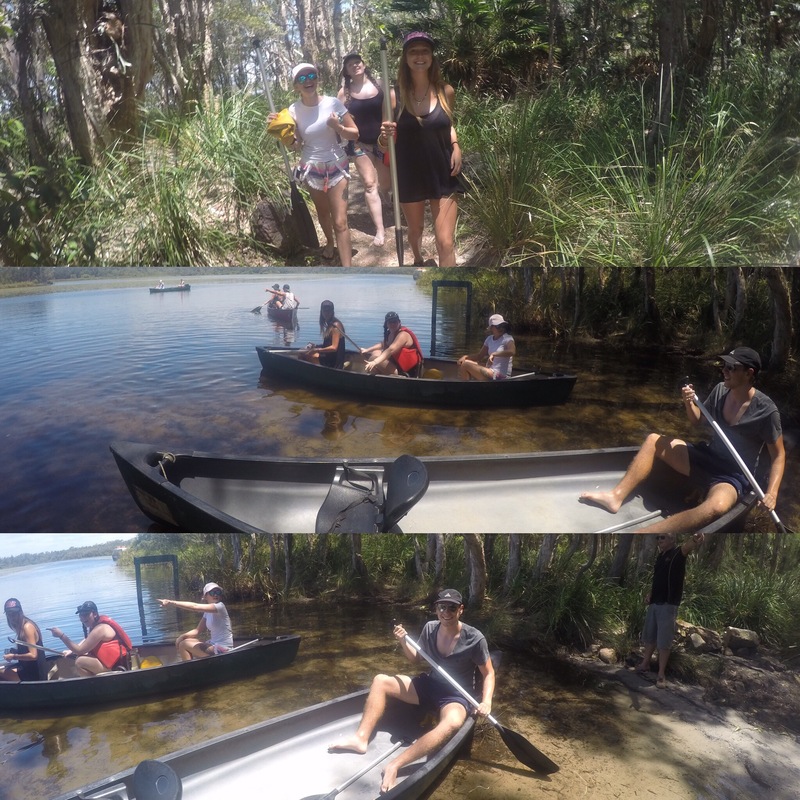 We stopped in a picnic area by the mouth of the Everglades and had tea and biscuits (the biscuits were great) and then were given our canoe. 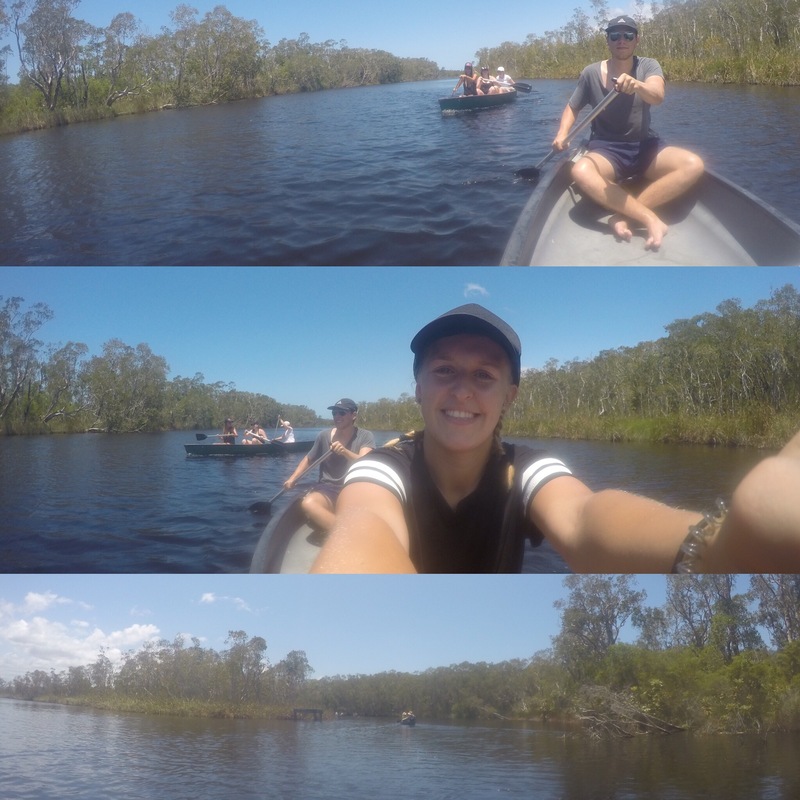 The canoes were in twos or threes so me and Niall canoed together. 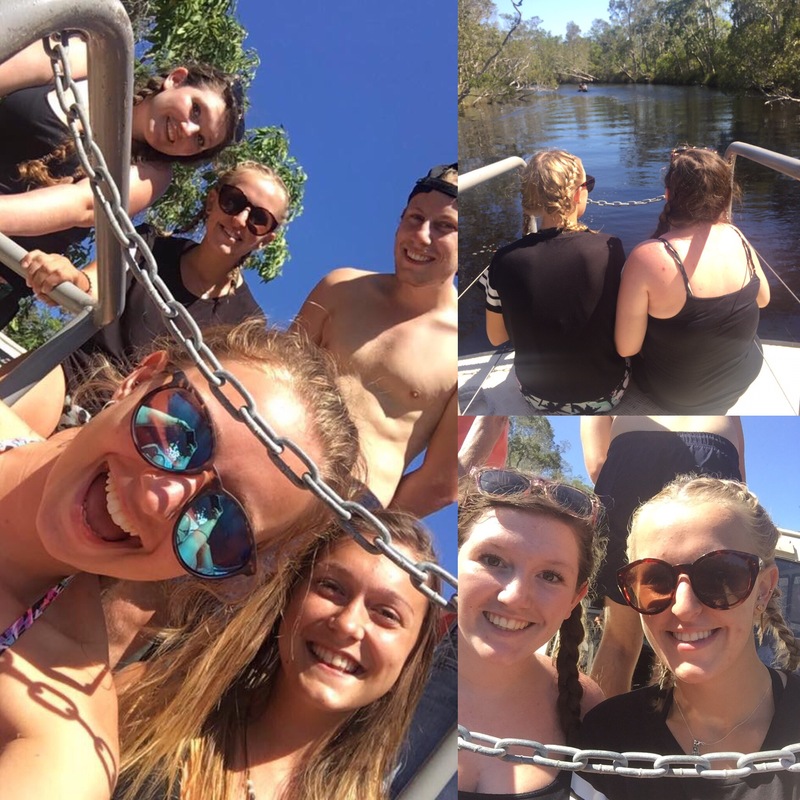 We had met three girls at the beginning of the tour called Lucy, Annie and Kelly and we were all on the canoe on the way up which was nice so we all had quite a good laugh canoeing the 5km to our lunch. It was a really long way and quite tiring but was really funny especially because Kelly, Lucy and Annie kept crashing into trees and us! For lunch we had a big BBQ in a clearing at the end of the section of the Everglades we were going to see. The Everglades were rivers surrounded by trees that were connected by huge lakes. I had expected them to be a bit more spectacular but it’s cool that there are only two in the world and now we have canoed down one of them. After lunch we jumped into the creek which was fun. 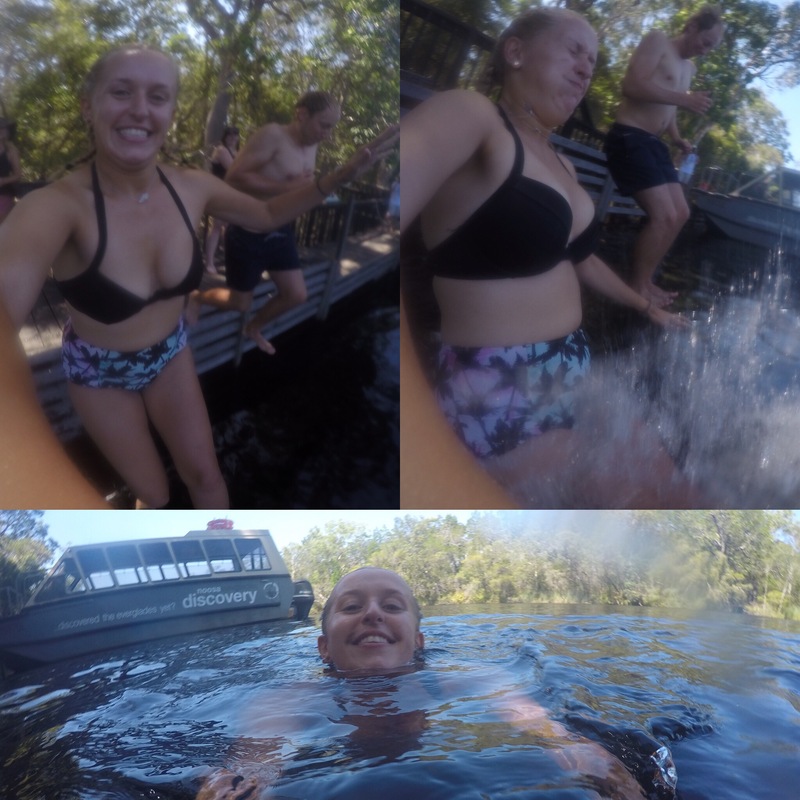 The water was really warm and we were told that it can reach temperatures of up to 33 degrees. 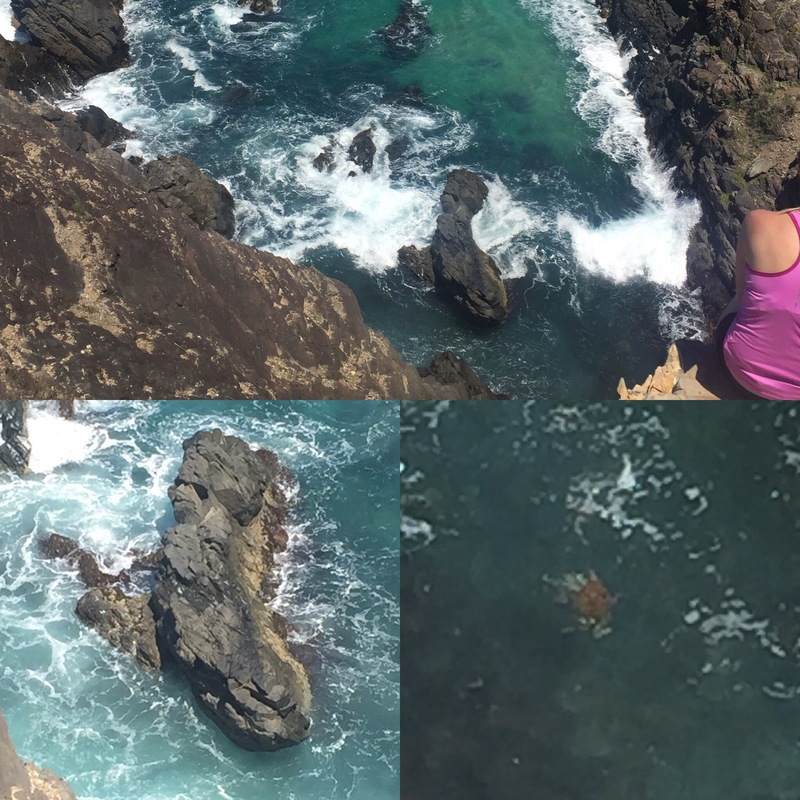 We were also told that there wasn’t anything dangerous in the water but apparently there was a sign in the toilets that bull sharks had been sighted but we don’t know how true that was! We survived anyway! The second group of people canoeing left whilst we were still jumping in the creek and then we got the boat back and soon caught up to them. Because they were going quite slow we gave some of them a tow along because he told them that they needed to hurry up. 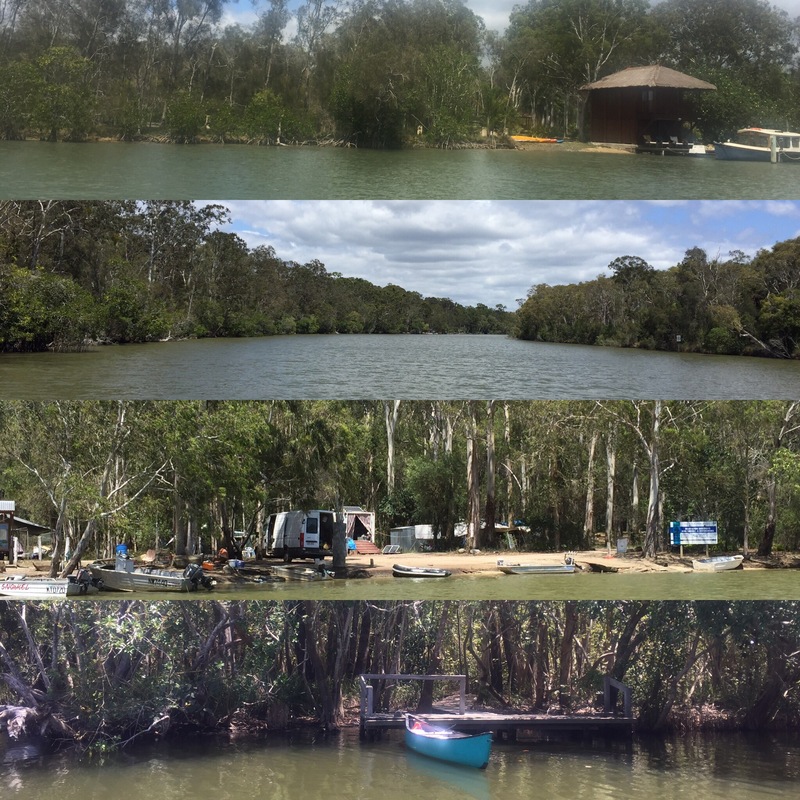 The weather was really nice for our trip and so we sat out the front of the boat and enjoyed not having to use any energy to get back after having eaten loads of lunch! 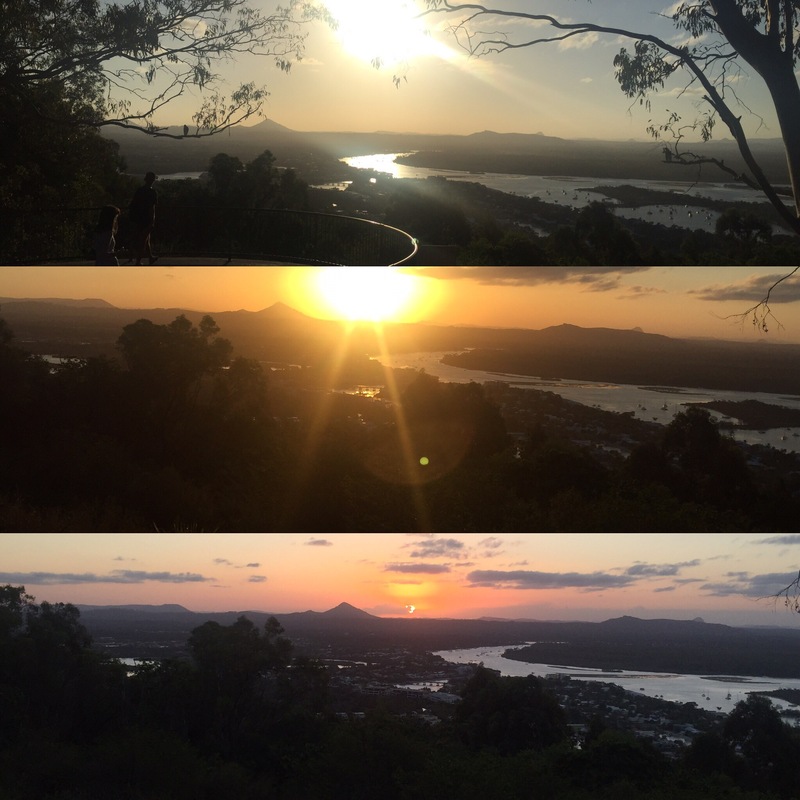 After returning to Noosa we walked to the Laguna Lookout with Kelly, Annie and Lucy to watch the sunset. It was a nice walk and really pretty sunset over all of the rivers and out to see and great to be doing it with some new friends. It really had been a great day. 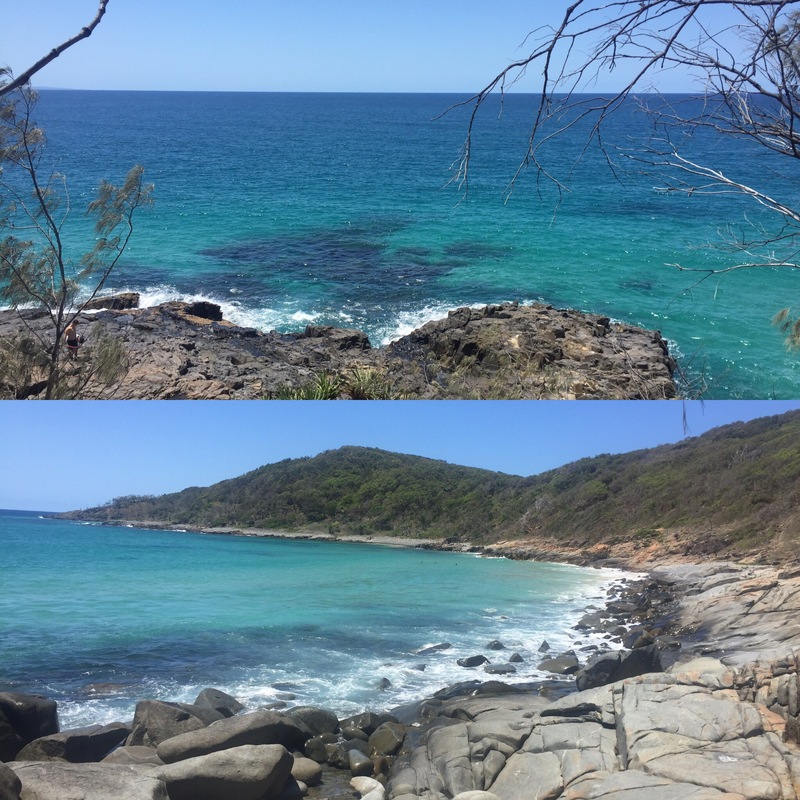 The next day we went on the coastal walk that takes you all along the coast and then through the National Park which Noosa is well known for. The walk was really pretty and showed us some lovely views of the coastline. There was also a koala along the route which always makes a walk a little bit better! At a point called Hells Gate which was probably one of the highest points on the walk, we saw turtles swimming really clearly which was really exciting for us as we hadn’t seen any in Australia yet. We walked along the beach and then into the National Park along the tanglewood track. The track was deserted and we didn’t see another person whilst walking through it until we reached the main coastal track again. 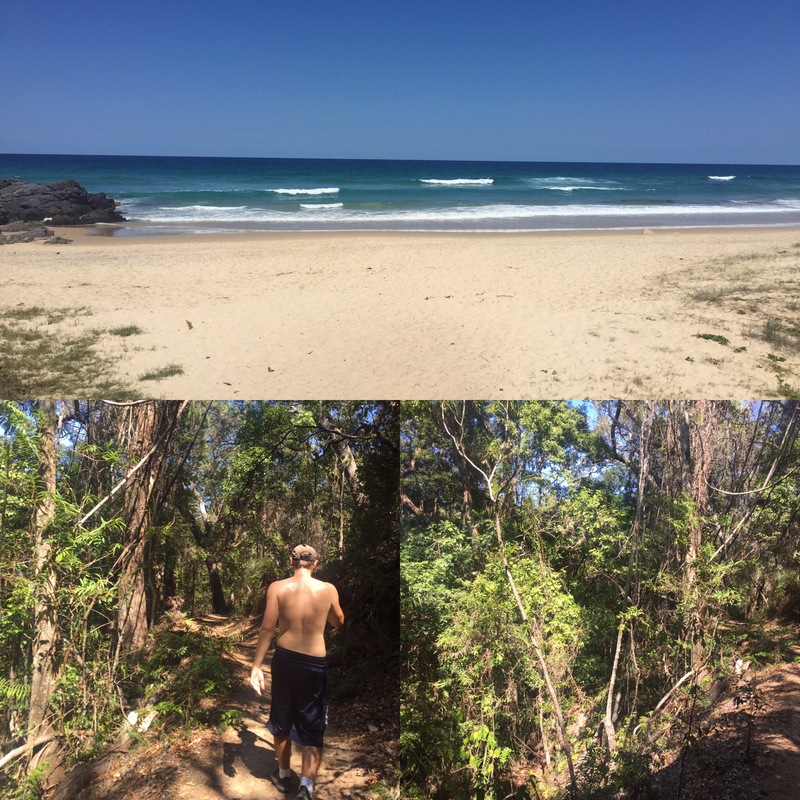 The whole walk took us around 3 hours in total and we were glad we did it as it showed us a lot of Noosa. We then went to meet Andy and Alex on the beach and went straight into the sea to cool off. The water was a really nice temperature and we chilled in and out of the water for a couple of hours which was really needed after our long walk. 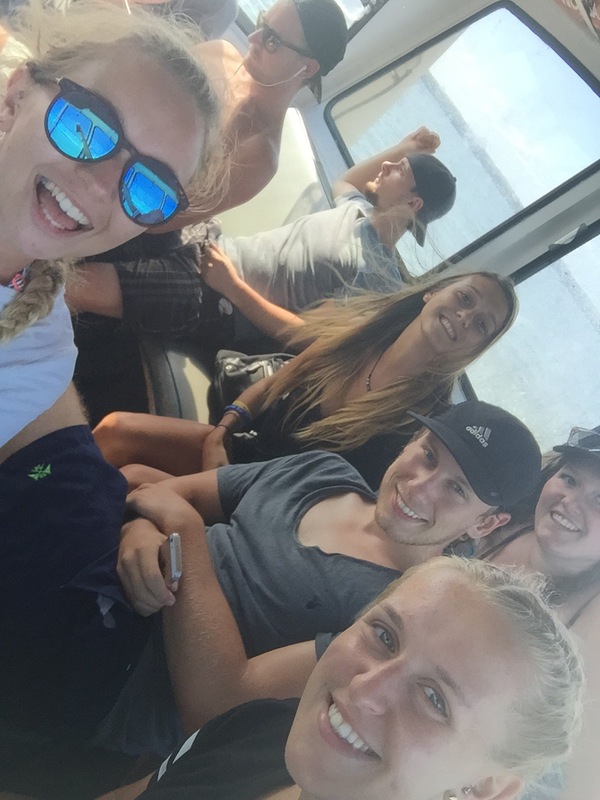 We had our Fraser Island trip the next day and so had to go to a briefing that evening which mainly covered the do’s and don’ts for driving on sand and some paperwork etc. At the briefing we met a couple called George and Bronte who we had seen many times on our journeys up the east coast all the way from surf camp but never spoken to. We all went to the shop after to get food and had our tea with them. For the rest of the evening, we spent some time in the hostel bar with Andy, Alex, our Everglades friends (Kelly, Lucy and Annie) and our friends from Brisbane (Liv, Niamh and Talia). We had a super early start for our Fraser trip the next day so it wasn’t a really late one for us but a good night all the same. 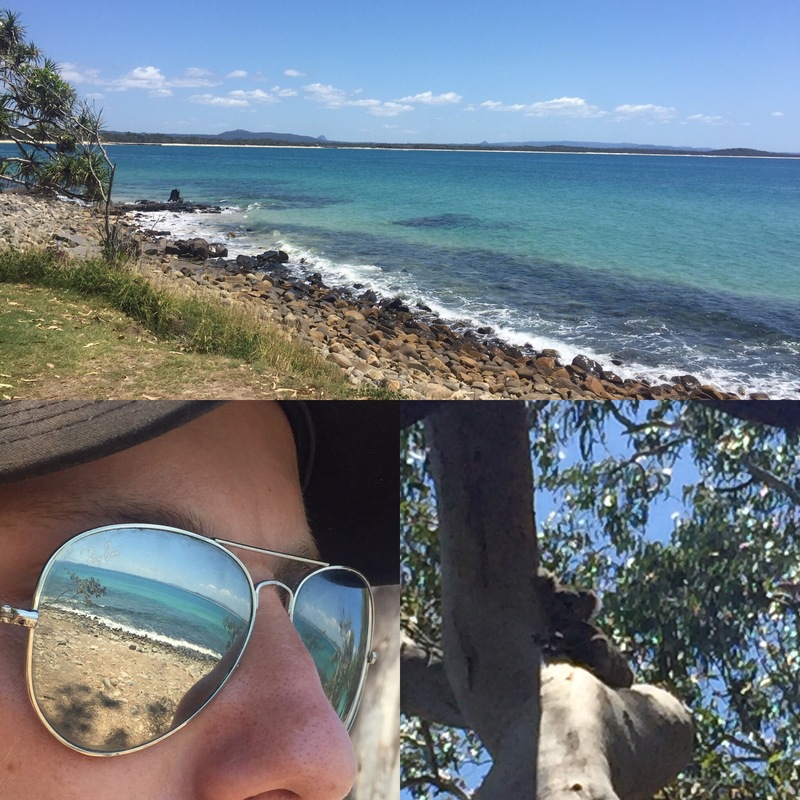 Noosa is a really nice place and we both really enjoyed our time there. It was great to meet up with Andy and Alex and lovely to make some more friends. 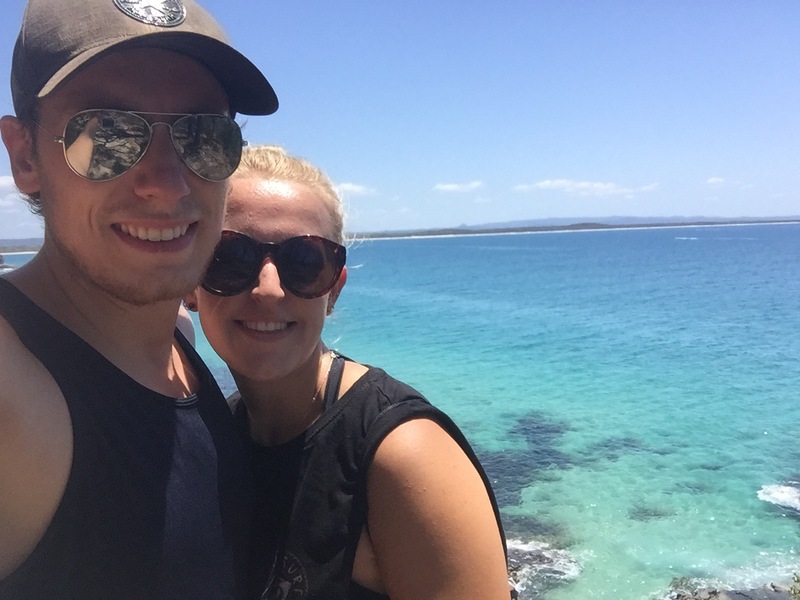 I definitely recommend staying here even if your Fraser trip isn’t going to leave from Noosa!